There is a danger to childhood, something that few people are willing to acknowledge. We tend to think of children as impervious to harm, protected by good graces and the hands of unseen guardians. But to fully understand the events of our younger lives, we must admit that those times can be, and were, fraught with unexpected hazards and the provident luck and resourcefulness of youth. And it's these ideas that should shape the framework of children's films -- directors and animators shouldn't avoid these things but should embrace them as part of the experience of growing up. But that's rarely the case. All to often, we simply accept that kid's movies are just loud, gaudy vehicles for toy merchandising and social stratification. It all feels so fake and weightless in it approach to the decisions that children make every day. There are exception, of course. Pixar films tend to get the correct balance of emotional authenticity and visual splendor which tends to hold your attention while keeping the muscles in your brain working. And recently, Disney Animation Studios has been making headway in its efforts to return to the idea that the visuals should serve the story and not the other way around. However, there has been one man, and by extension a studio, who has never lost sight of the fact that you should never talk down to children, as they can instantly sense when something is lacking in credibility. 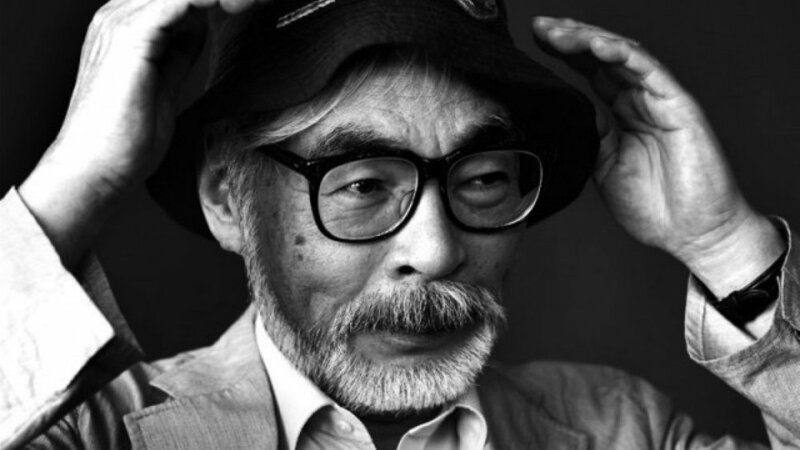 Hayao Miyazaki is often touted as one of the greatest animators in film history and with good reason. As co-founder of Studio Ghibli, he's helped to shape the direction of intelligent and thoughtful animation since he first began working in the medium in the late '60s. Born in the town of Akebono-cho in Bunkyō, Tokyo, he developed a fascination with manga and animation when he was quite young. This love followed him as he grew, eventually pulling him to work for famed production house Toei Animation where he was just 22. 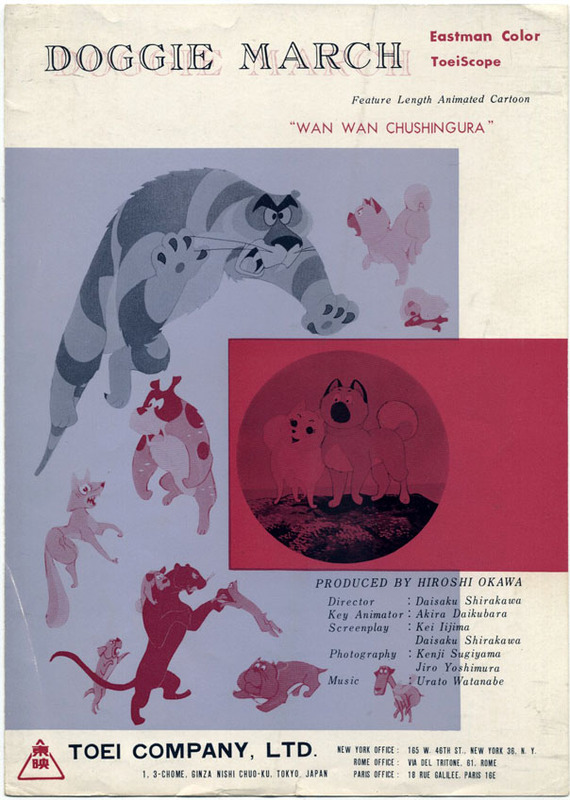 Initially working as an in-between artist and later as collaborator with director Isao Takahata, some of his earliest projects included "Doggie March" and "Gulliver's Travels Beyond the Moon." "Doggie March" is loosely based on the legend of the 47 Ronin. Miyazaki eventually moved to animation house A-Pro in 1971 where he shared director duties with Takahata on "Lupin the Third Part I," which was the first iteration of the popular anime television series. Zuiyō Eizō (later known as Nippon Animation) was his next working home, and it was here that he continued to develop his own style and voice on "World Masterpiece Theater" and "Future Boy Conan." When he finally made the move to direct his own feature films, he joined Telecom Animation Film in 1979 and began work on what was to be his solo directorial debut, "The Castle of Cagliostro." He followed that up with "Nausicaä of the Valley of the Wind" in 1984. And it's in these two films that he established his signature style of storytelling that incorporated anti-war pacifism, strong female leads, an aversion to modern technology and a push for environmental restoration. And while those are some fairly complex themes, he managed to work them into what most would consider children's films. This goes back to the idea that Miyazaki thought of kids as equals to adults in how they saw and perceived the world around them. Their perspective might be a little different than someone with a bit more experience, but it would be no less valid. He knew that, given the right context, children could adapt and absorb these ideas without much effort. He knew that you couldn't be lazy in your efforts to reach them -- a filmmaker had to view the world with the right mixture of wonder and caution in order to attain any semblance of what it was like when they were young. People often seem to forget what it was like to be young, but Miyazaki was determined to preserve that awareness. And it wasn't naivete; it was acceptance. Miyazaki co-founded Studio Ghibli on June 15, 1985 and headed it alongside Takahata and producer Toshio Suzuki. His first film under the Ghibli banner was "Castle in the Sky," an adventure story of two kids who attempt to keep a mysterious crystal away from the military as they struggle to discover the floating castle called Laputa. As with "Nausicaä," this film spoke to the danger and excitement that comes in childhood, the sense that anything could happen at any moment. Violence was abhorred and only used as a dire last resort, and even then, it wasn't easily accomplished or reversed. By addressing his audience (both old and young) on an equal playing field, he showed that these films could be used to confront ideas in a way that would be palatable to kids and would possibly facilitate discussions as they grew. Over the next 30 years, Miyazaki would go on to create brilliant pieces of art that dealt in childhood memories and fantastical narratives involving spirits, Japanese tradition and the blending of fantasy with reality. His films would mature in scope and production, but they never lost their ability to see the world as it should be and not as it is. This was helped by the fact that most of the protagonists of his films were kids or young teens. And whether it's Chihiro's search for her parents in "Spirited Away" or Satsuki's desperate search for her sister in "My Neighbor Totoro," the world is never shown to be completely benevolent or perfect. Bad things happen, and people deal with them as best as they can, children included. 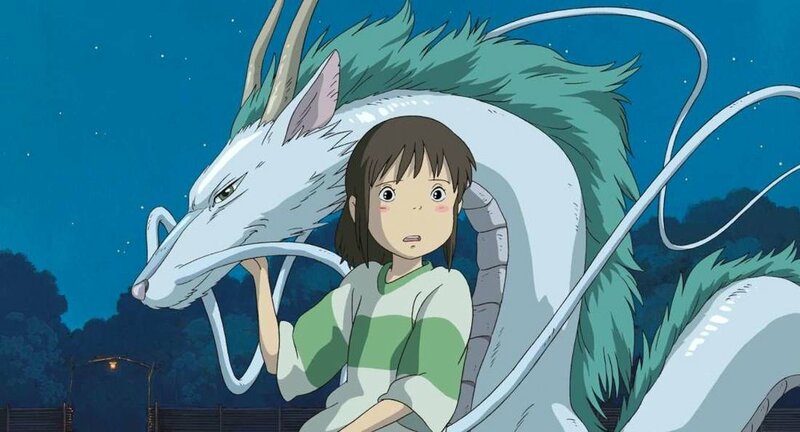 "Spirited Away" lead Chihiro standing alongside the Kohaku River spirit. In Miyazaki's films, childhood is a character unto itself, a frightful and hesitant thing that pushes the narrative forward regardless of direction. There are wars, death and monsters hiding throughout his movies, giving them a weighted presence that reflects an accurate understanding of what it's like to be a kid. As children ourselves, we may never have had to face the trials that imperil those in films like "Ponyo" and "Kiki's Deliver Service," but those feelings of independence and uncertainty which shape our youthful experiences are universal and born from our desire to make sense of the world. Throughout his career, Miyazaki has found ways to tap into that unique outlook, creating art inspired from childhood experiences. It doesn't matter that we've never had to reverse an aging spell or find a way to make a witch turn our parents from pigs back into humans. And it doesn't matter how bizarre and wondrous the setting -- these stories resonate on a primal level, somewhere deep inside our subconscious where the line between reality and make-believe is blurred to the point of nonexistence. Evoking deeply set emotions and physical responses that occur entirely apart from our voluntary bodily mechanisms, these films are scary, loving, complicated, unpredictable and open-ended. They are the cinema equivalent of reliving our childhood for a few hours at a time. This is Miyazaki's art.